Great choice, I own one of these myself (nearly done 100,000km). 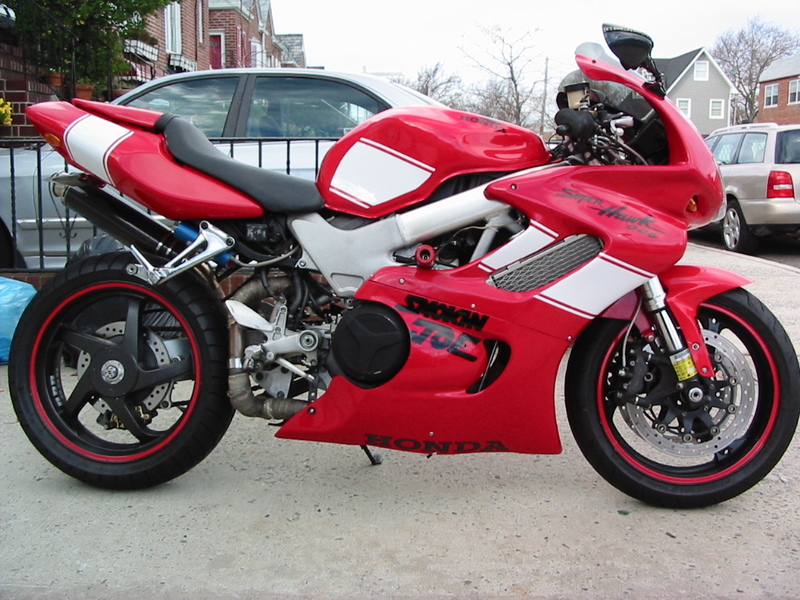 The VFR is great but not perfect, and needs a little specific care and attention especially the electrics. There is a 3P connector for the stator wires on the LHS of the tail, and these get wet, corrode, overheat and then melt; my suspicion is that this is a source of many unnecessary stator or regulator replacements. If you are handy, it is a simple job to chop the connector out and splice in some wire to cover the gap, and apply heat shrink to make a permanent weather-tight connection. I did this, and it made a significant difference to the charging voltage. Let me know if you need a service manual or any other info. Those machines sound fabulous with the right pipes! I always like those bikes but when I rode them I felt like they were a bit soulless. 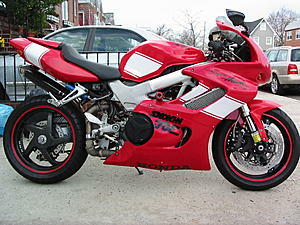 My cbr600s would scream and the vtr is a thunderbike with tons of character. This felt like a turbine to me. 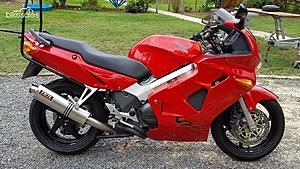 Not that its bad but if I had to chose one I chose the vtr. Odd that the vfr evolved from a racebike that even Joey Dunlop raced. They are awesome though. My B VTR has one of their swingarms. Jeepers I bet there was serious work getting the pipes and swingarm to play nicely. Great looking machine though. My VFR does run a Delkevic muffler and makes great sounds, but quite different to the VTR. I have added CBR600F4 forks and brakes to my VFR as I wanted more adjustability and could do without the linked brakes, plus I have a modified CBR929 shock. I still think my VTR (on Ohlins, and with revalved and sprung forks) is a more natural handling bike, something in the geometry of weight distribution that is superior to the VFR. However, the VFR engine is an absolute peach, and makes the VTR seem decidedly agricultural, and the VFR has a much more sensible riding position (higher bars, lower pegs, more room along the seat). I'm just lucky to have both (and my ST1100 for those really long rides...). Wow this and an ST? Those are both bikes I have wanted. Well done. Not even sure if I have heard a VFR with a pipe. Usually the Viffer type of rider isn't the performance exhaust type of guy. So that is actually what I am doing to. I had removed some parts from my SSS VTR and need to get it back on its feet to ride as I do some major stuff to the daily VTR. wallpapers of Nickys new ride.